BBQ Fanatics: Team 'BBQ Fanatic' is Competing! 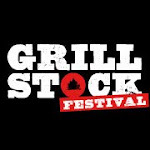 Team 'BBQ Fanatic' has entered the BBQ Society 'Southern Championships' from 29-30th May 2010 @ Minley Nursery, Spoil Lane, Tongham, Surrey, GU10 1BP. Lets get these tshirts in a large, please! Aye, with "BBQ fanatics do it long & slow" or some equally unfunny legend on the back. For the record, Cops helped me guilt-trip the wife into giving me a pass for the Championships. Wondering if it'd make sense to add a brewery tour of the Hogsback to the weekend. Thoughts, anyone? Sounds like a GREAT Plan.... Initial shirts ordered, was waiting for the rest of the team to confirm (and to check out the quality) before ordering the rest. What size are you Danny boi? Brewery tour soudns FAB. We can go, get setup on Sat midday, then do the tour in afternoon, and get started on BBQ!!!! !